If you keep up with American politics, live with someone who does, or work in a place that keeps the television glued to whichever cable news network best fits the politics of the company, then you've probably heard that the federal government shut its doors today. This is the direct result of our politicians failing to cooperate long enough to pass a budget, and now many federal employees have been made to take forced unpaid vacation time. 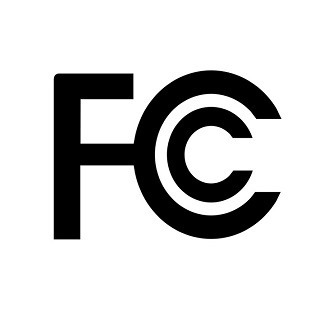 Since the Federal Communications Commission is a federal department, it's now limited to performing only those tasks that are necessary for the preservation of life and property. Maintaining its online systems doesn't fit this definition, so the site is currently down. A trip over to FCC.gov reveals this page. That's not all. No one's around to answer consumer complaints or inquiry calls, TV and radio license approvals have been put on hold, and new equipment authorizations cannot be approved. The list goes on. The number of people called in to work during the shutdown has dropped from 1754 people to just 38. The remaining 98% of workers have or will be furloughed. Quite frankly, it's a bad day to work for the US government. 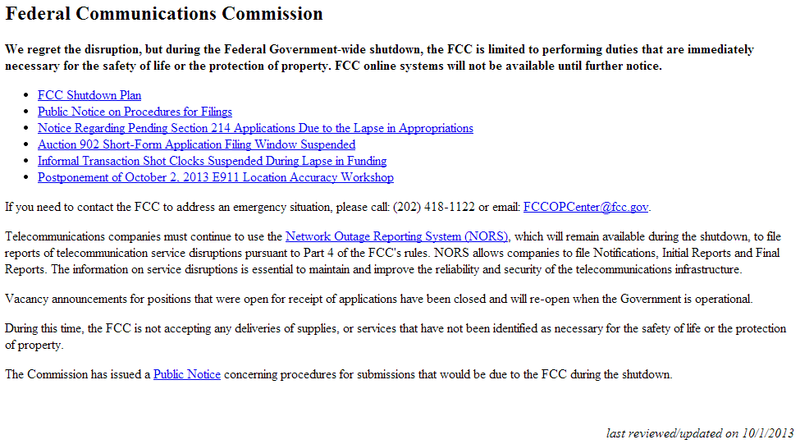 The good news is that the FCC will re-open its doors eventually. The problem is that no one knows exactly when that will be.